It is recommended that if you travel the annual average mileage (12,000 miles) or more you should have your braking system checked at least twice a year. 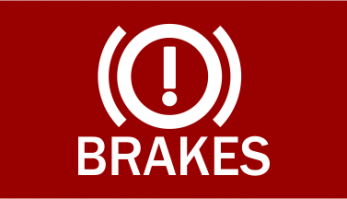 We offer a cheap, no-obligation brake checking service that takes around 45 minutes and only costs £38 plus VAT. In this service we include a full braking system inspection that digitally measures the wear on your vehicle’s brake pads, shoes, discs and drums. If you need any work doing or parts replaced we’ll give you a no-obligation quotation.